Founded in 2010, Flipboard is an application which allows individuals to curate the news how they see fit, creating their own magazine rack, as it were. During my time as a reporter for The Next Web and VentureBeat, I have covered the company extensively. I joined Flipboard in 2018 as its Technology Editor where I'm responsible for curating industry news and overseeing a handful of editorially-managed niche magazines. ​In addition, my role includes crafting and delivering push notifications whenever there is breaking tech news, developing content for our daily tech newsletter, managing our "Tech Books" program which showcases recommendations from industry influencers, and providing support to our engineering team to improve Flipboard's topic curation algorithm. I reached out to tech influencers, personalities, venture capitalists, and industry insiders to produce a weekly program curating five books around a central theme that each person recommended. The idea was to give readers a better understanding of who the people shaping tech were. My role curated each participant, helping them compose a dedicated magazine to their book selection, and producing a weekly email. During special events such as Mobile World Congress or the Consumer Electronics Show, I have participated in Twitter chat sessions with partner publications, like Digital Trends (#DTFlipChat). 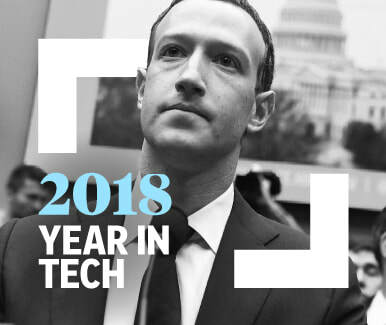 I also worked with Recode on the creation of a magazine for its 2018 Code Conference, which included supporting production, curating articles, and promoting the notable ones to Flipboard's audience of technology enthusiasts through push notifications and daily emails. As technology editor, I also reviewed news outlets and publications to determine what was relevant enough to be added into any of the tech-oriented magazines I managed, as well as any breaking news. It was my responsibility to ensure that the collection of articles came from a very diverse set of sources. In short, Flipboard relied on my judgement to know what's really important in tech versus what's mundane. I was also responsible for the development of two technology-focused newsletters distributed each week. I produced each one, developing the theme and curating the appropriate number of articles around it, crafting copy, and working with the distribution team.